Flowmaster introduces their new manifold downpipe system. 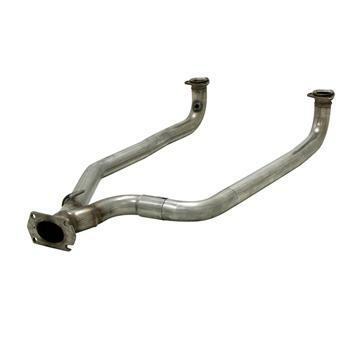 This mandrel bent assembly consists of a flanged pipe that connects to the factory cast iron manifolds, and then to the back of the catalytic converter. This kit can also be used with Flowmaster’s Cat-back or OEM system. All necessary flanges, gaskets and hardware are included for a great fitting, bolt-on installation. Constructed in durable 409S stainless steel, the system is covered by Flowmaster’s Lifetime Limited Warranty.